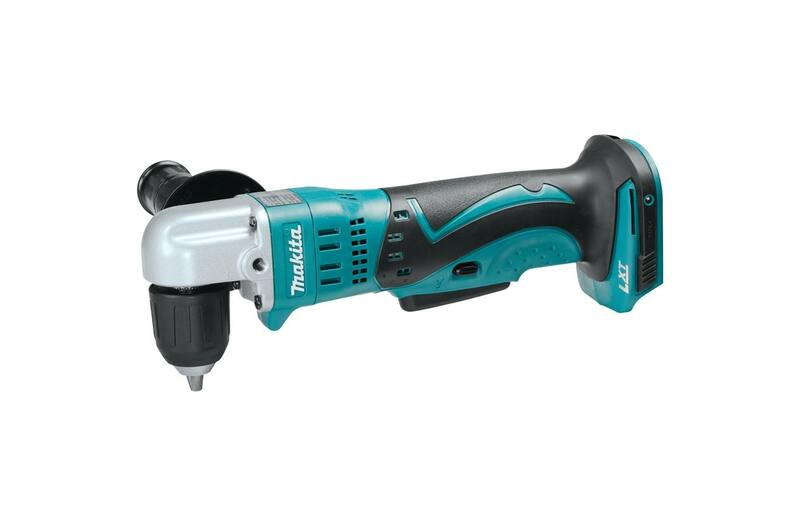 The Makita 18V LXT® Lithium-Ion Cordless 3/8" Angle Drill (model XAD02Z, tool only) delivers cordless drilling power into tough-to-reach spaces. 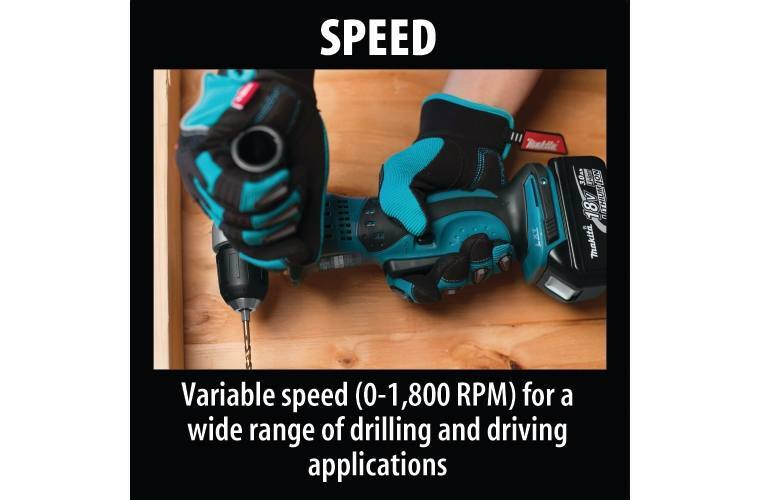 The versatile XAD02Z packs plenty of torque for a wide range of drilling and driving tasks, yet it weighs only 4.0 lbs. 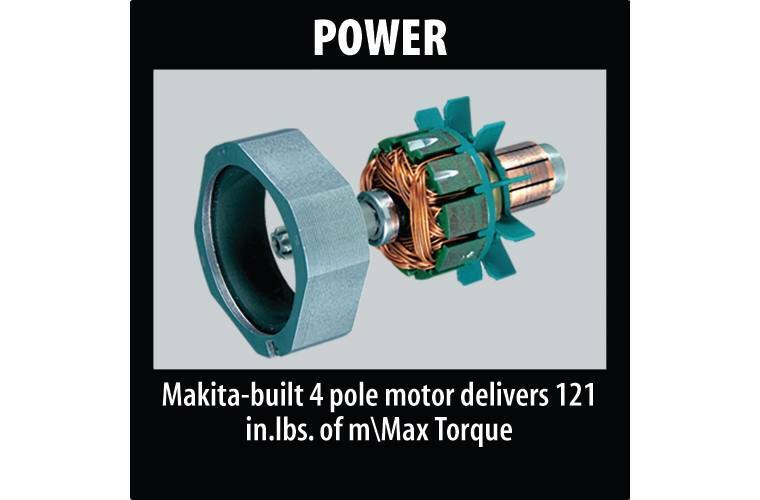 with a slim design and over one foot of tool extension. 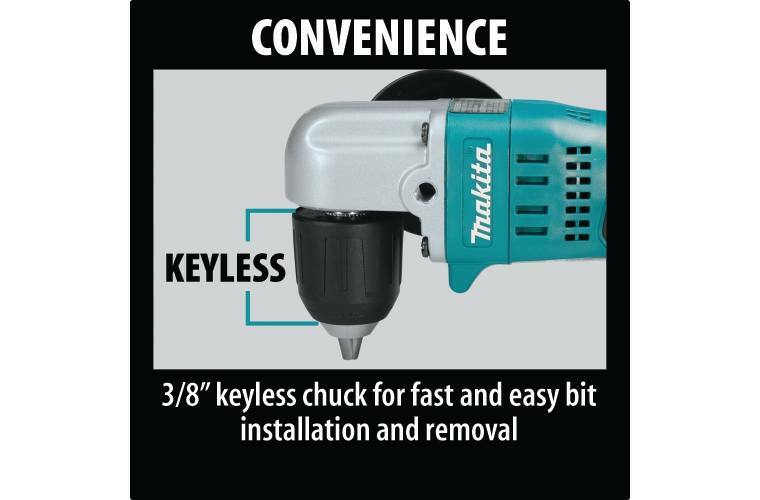 The 3/8" keyless chuck provides fast and easy bit removal. 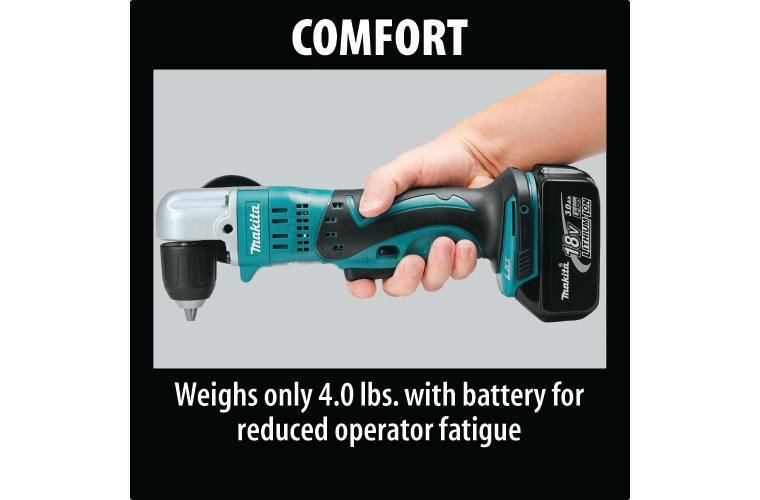 It’s ideal for assembly, garage door installation, steel framing, woodworking, electrical, and any other job that requires a more compact drilling solution in close-quarters applications.